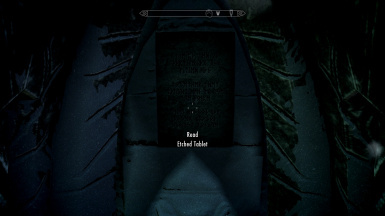 Unique, higher resolution plaques for each of the shrines on the way up to High Hrothgar. 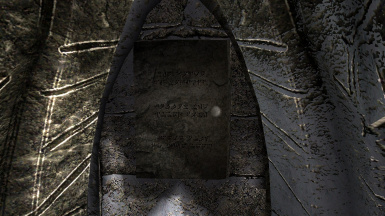 Now in two versions: Legacy, which still uses the Norse runes of the original version, but with better normal map techniques (and a specular map, whoo) and Zul Do Dov, which uses lore-friendly dragon runes. 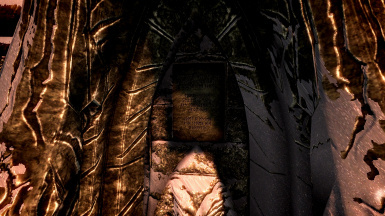 How sad it must be for the poor pilgrims to the shrines on the Throat of the World to have to spend all that time squinting at muddy, illegible textures on those plaques. How do you even manage to read it yourself, anyway? 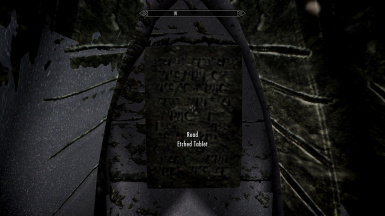 Well, praise be Talos because the Imperial Heritage Society has just commissioned a renovation of the plaques, now in freshly-carved runes! Long story short, each shrine now has its text reproduced in runes on the plaque, so you're not just conjuring this stuff up from nowhere. Real text was difficult to reproduce in a convincing way, so runes were the next best bet. Should be compatible with anything that doesn't change the physical location of the markers. Extract the archive to your Data folder. The folders are set up so you just need to extract everything and it will all be in the proper place. Or use NMM. Deactivate PilgrimsDelight.esp. 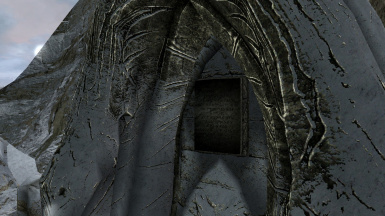 To delete the unused files, remove the mqetchedshrineX.dds and mqetchedshrineX_n.dds from Data\textures\architecture\highhrothgar and the mquetchedshrineactivatorX.nif from Data\meshes\architecture\highhrothgar, where X is 1 through 10.